When Apple announced their China Mobile deal a few months ago, I commented that the analyst community seemed to lack clarity about the nature of the Chinese market. My hypothesis was based on the identity-utility continuum and the pricing model used by Chinese carriers. 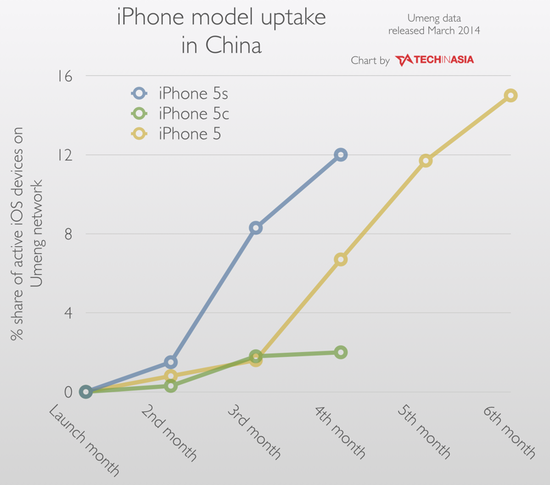 Information from China Mobile on initial iPhone sales seems to validate this hypothesis. Therefore, the bulk of China Mobile's iPhone sales will be driven by customers who -- 1) value the ownership of an iPhone, 2) value the utility associated with using an iPhone and hence, need 3G/4G data service, and 3) have not already upgraded to an iPhone 5S/5C from the gray market. If this argument is valid, the run rate of actual iPhone sales is likely trend closer to the low-end of estimates as opposed to the 30 million that some expect. According to China Mobile's announcement, they sold about 1 million iPhones in the first month. Since iPhone sales are seasonal and peak around device and carrier launches, annual sales could come in close to 10 million. It is also important to understand is that these numbers aren't purely incremental. Because of the pricing model, any iPhones sold through China Mobile would have a negative impact on gray market sales. Therefore, incremental iPhone sales from China Mobile could actually be a bit lower than this figure.